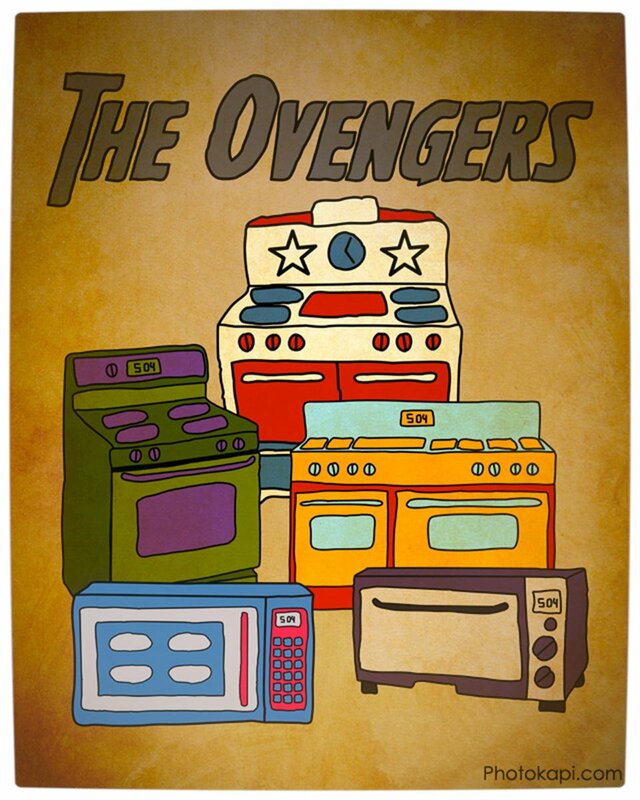 In contrast to looking like babies or Edward Scissor hands, The Avengers have returned as kitchen appliances in artist Geoffrey Sagers parodic ‘The Ovengers”: Earth’s mightiest ovens coming together to feed the world’s hungry. Foodies Assemble! Rumours abound that Black Widows is ostensibly missing from the image because she has a “bun in the oven”.